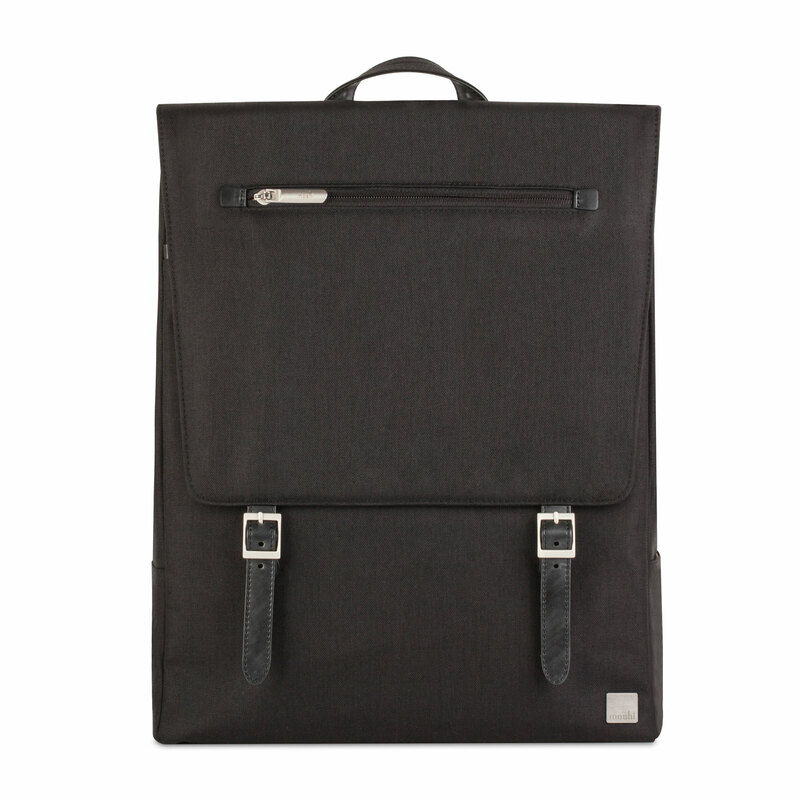 This designer backpack keeps you stylish and organized with a cushioned compartment that can carry laptops up to 15". 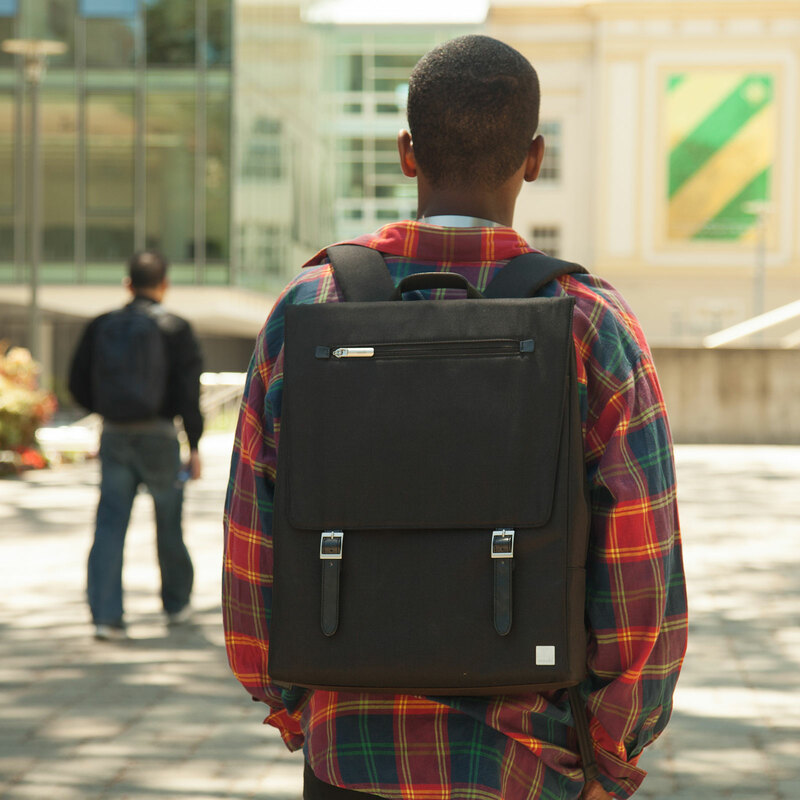 Helios is a designer laptop backpack crafted with lightweight, weather-resistant fabrics and vegan leather trim. 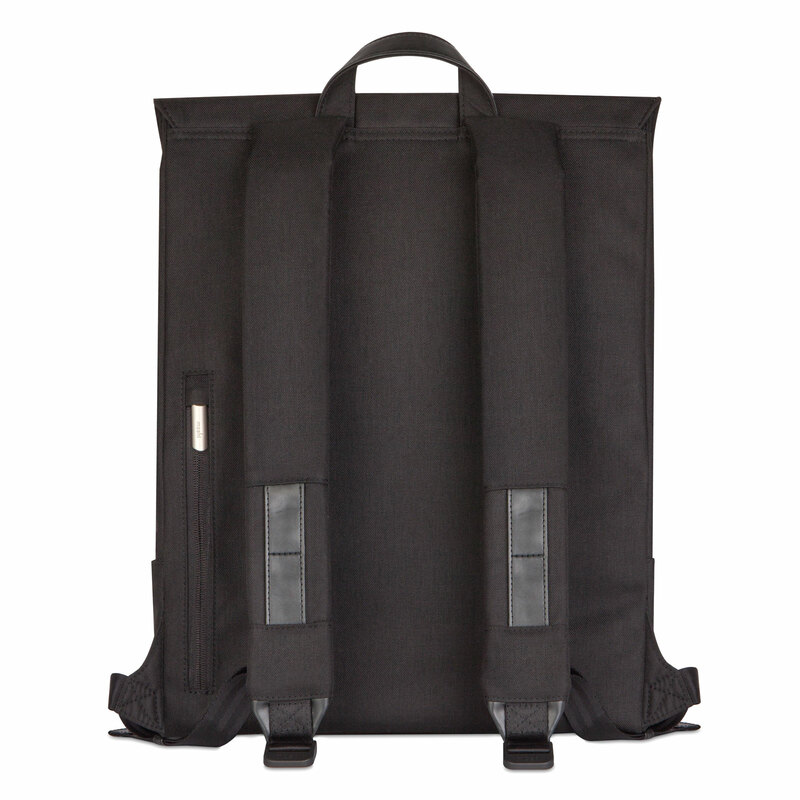 Its slim silhouette is ideal for users seeking out a premium backpack that can carry up to a 15" laptop with room to spare for books, folders and a water bottle. 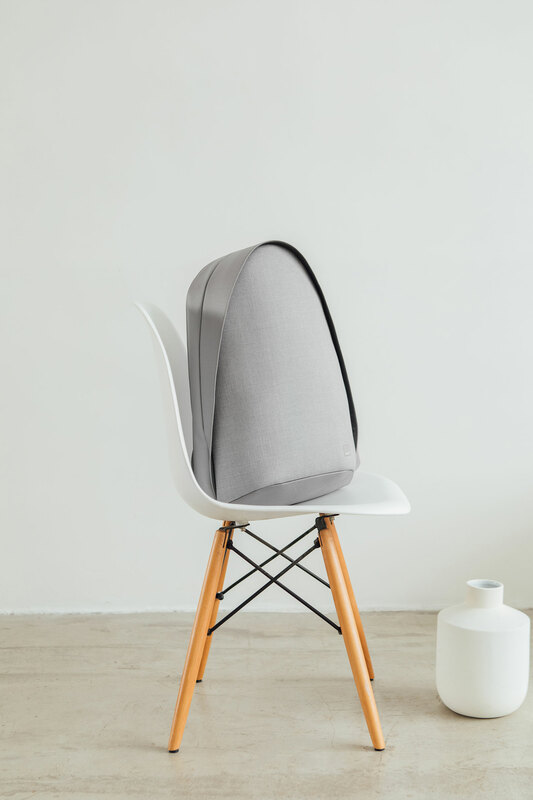 Keep accessories such as pens, chargers, smartphones and cables neatly organized in the bag's numerous internal compartments. A rear Napoleon pocket holds valuables such as a wallet, passport, and boarding pass close to your body so they're safe and easy to access. 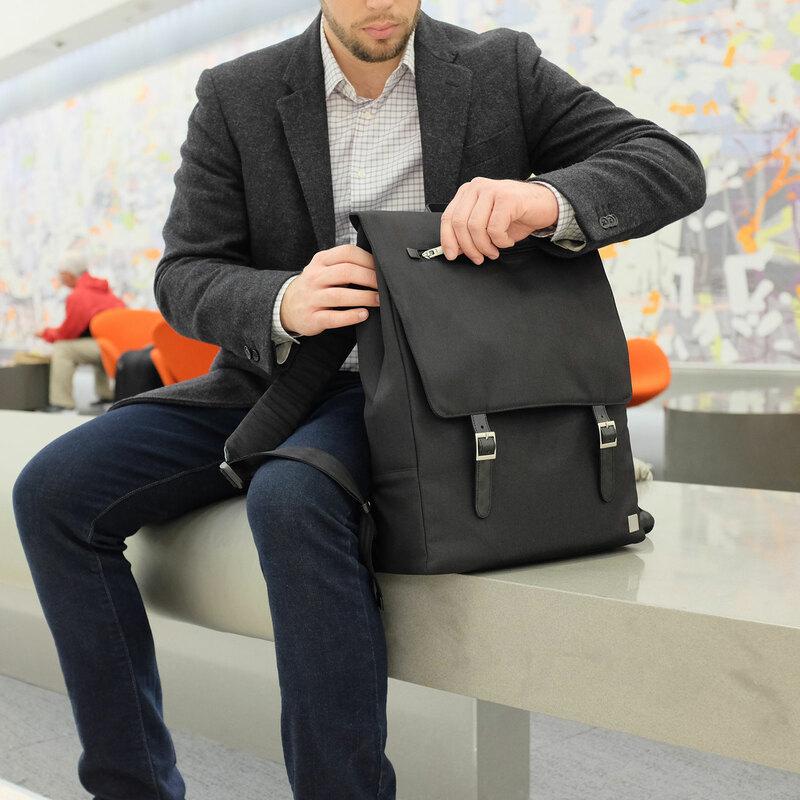 Whether you're planning your next business meeting or just strolling around town, Helios keeps you stylish and organized no matter where you go.